Many purport self-driving vehicles to be the next generation of automobiles, but until the public can trust an automated chauffeur to carry them around, autonomous cars need to establish a safe track record. Autonomous vehicle testing ensures that these cars are ready to drive the roads and keep the people inside them as well as those outside the vehicles safe. Consumers and manufacturers alike have several reservations when it comes to mass producing autonomous vehicles. These cars pose hazards that human-driven automobiles don’t create. Self-driving cars must react the way a car with a human driver would, even in response to unexpected events on the road. Vehicle safety: Consumers who will potentially ride in autonomous vehicles will need to feel that the car is safe for them and anything they carry. If autonomous automobiles graduate to being used for public transportation, cities must assure their residents that using the self-driving bus or train will get them safely to their destination. Safety of others: Other drivers on the road, cyclists and pedestrians will need to feel safe around self-driving cars. How the vehicle reacts to a person or cyclist crossing its path is a significant problem that manufacturers must answer before consumers will embrace these vehicles. Will the self-driving car be able to choose between crashing itself or hitting another vehicle and potentially injuring even more people? Moral choices people make without thought need to have programming added to the software for self-driving vehicles of the future. Until then, a human overseer who can take control of the automobile could overcome some of these issues. Emergency situations: Will self-driving cars be able to recognize and yield to emergency vehicles? What about construction zones that require slower speeds and maneuvering around cones or people? These unexpected situations need rapid reactions that an autonomous vehicle must prove it can have to earn trust. Manufacturers must provide data that gives the right answers to these concerns before the public accepts self-driving vehicles. Testing autonomous vehicles starts with inspecting the components. Because 70 percent of the components in a car come from the supplier chain, testing these parts for performance before installing them on the vehicle should be the first step toward ensuring the safety of the finished car. Testing the mechanical parts of self-driving vehicles will look like the way current cars have their parts tested. The vehicle will still require environmental testing to ensure it can safely drive in all weather conditions. Additionally, the paint will need to prove its performance in harsh conditions, including exposure to road salt and sea spray. Just as we test gasoline-powered vehicles, at NTS, we also examine the operations of electric and hybrid cars. These are the forms of fuel used for the future, and they’re the types manufacturers will incorporate into mass-produced autonomous vehicles. Autonomous cars require all the parts for propulsion to operate just as well as they do in human-driven autos. Merging these components with the electronic driving system is the key to testing. How the vehicle’s control system communicates with the car depends on the brand and technology used. Additionally, because autonomous automobiles are still so new to the market, they need a black box to teach their software how to operate or how to not react in certain situations. Part of the problem of self-driving vehicles comes from the need for the electronics installed in them to last for the life of the car — a decade or more. Consumer education: The manufacturers should strive to put forth their education programs to train their dealers, purchasers and the public in operating and working near automated vehicles. Private companies will be able to voluntarily put forth their training systems much faster than the state and local governments can make changes to driver’s education instruction requirements. Outlining the operational design domain: The operational domain of the vehicle needs specification during testing. Components of the operational design domain, ODD, include the types of road driven on, the environmental conditions, the speed range and the geographic location. The presence of mountains, ice, rain and fog could all require adaptations in how the vehicle responds to conditions. Ideally, manufacturers will test an autonomous vehicle for use in any weather, road type and environment. Responding to obstacles: Self-driving cars need to have the ability to identify and react to obstacles in the roadway, signs and other objects that may interfere with driving. Operator safety: The vehicle must keep the operator and occupants safe throughout the drive. Additionally, should a crash occur, the automated car needs to render itself as inert and safe as possible. For instance, shutting off the fuel tank and connecting to a communication center or emergency services should be part of a collision reaction plan. 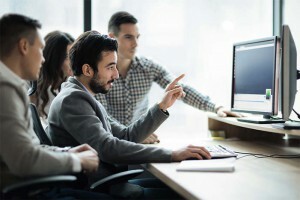 Cybersecurity: Any connected electronics have a risk of getting hacked. The same is true of autonomous vehicles. Should a third party obtain control of a self-driving car or public bus, the results could be disastrous. The security software used on a self-driving automobile needs to be at least as strong as that used to protect the most sensitive online information. While these suggestions show the federal government making headway toward accepting self-driving vehicles as a part of American car culture, they’re only voluntary regulations. Taking these guidelines into account while expanding on them could help manufacturers create safe, trusted vehicles that consumers will be able to use with confidence. At NTS, we have experts who know everything about vehicles. We have a proven record of successful tests conducted for manufacturers, subcontractors and contractors. Find out how you can get your autonomous vehicles tested for safety and performance. 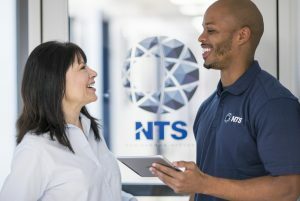 Request a free quote from us at NTS or to learn more about how we can help you with all of your automotive testing requirements.